Microsoft gives MacBook Pro users new Touch Bar options when using Word, PowerPoint, and Excel. 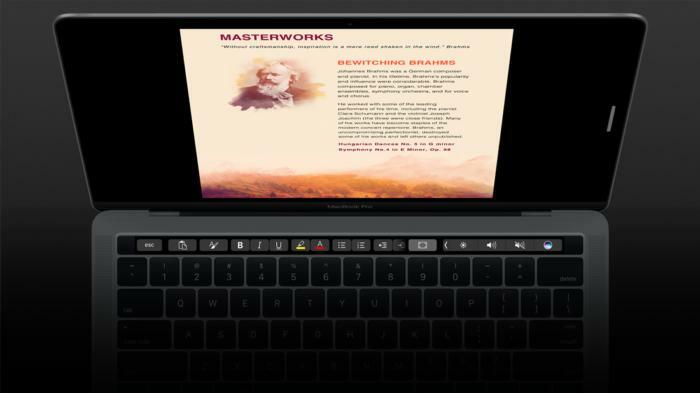 MacBook Pro users can now insert a hyperlink in their Word document using the Touch Bar. On Thursday, Microsoft released Touch Bar support to all Office for Mac users. This gives the Word, Excel, and PowerPoint apps new contextual capabilities on the new MacBook Pro. Microsoft first announced Touch Bar support in October, and a preview was released to members of the Office Insider program earlier this month. MacBook Pro users can access these features by going to Help > Check for updates in any of their Office for Mac apps. The public version includes new capabilities for Office users. In Word, you can use the Touch Bar to insert photos, hyperlinks, or comments in your document. In PowerPoint, the Touch Bar gets “view-specific controls” to present a slideshow. Microsoft also added a new slider to the Touch Bar so you can rotate an object—like an image or a new layer—more precisely in Word, Excel, and PowerPoint. In addition, Microsoft confirmed that Touch Bar support for Outlook and Skype for Business would be coming soon. Last October, Microsoft gave us a sneak peek of Touch Bar support in its Mac apps, including Word Focus Mode. 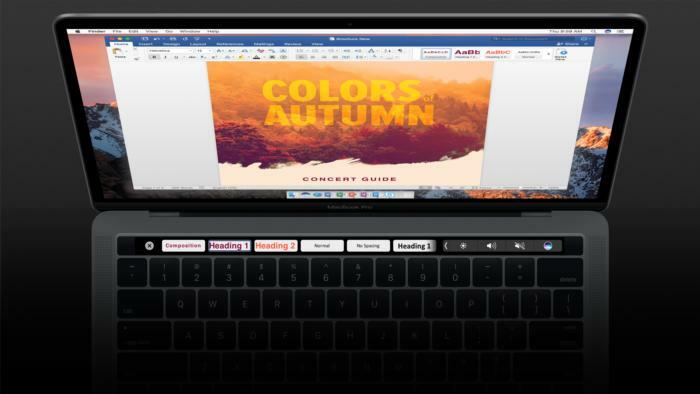 This feature hides all ribbons and controls from the screen so that you could focus on writing in Word, while keeping the most relevant commands at your fingertips thanks to the Touch Bar. In PowerPoint, the Touch Bar integrates slide thumbnails so you can move through your presentation, and it also includes a timer to keep you on time. In Excel, pressing the equal sign launches the most recently used commands on the Touch Bar. From there you can tap to select a range and perform a specific function. When Touch Bar support comes to Outlook for Mac, you can expect similar capabilities. When composing an email, for example, the Touch Bar will surface recent files so that you can add an attachment with one tap. In Outlook’s Today view, you can use the Touch Bar to get a quick glimpse of your calendar events for the day, or quickly launch a Skype for Business call. Why this matters: Although Apple and Microsoft are obvious competitors when it comes to operating systems, the two tech giants have had a collaborative streak. In recent years, Microsoft has been intent on making its Office for Mac software not seem like an after-thought. This new integration with Apple hardware takes it a step further, as the MacBook Pro is the only laptop that is able to take advantage of Touch Bar support.